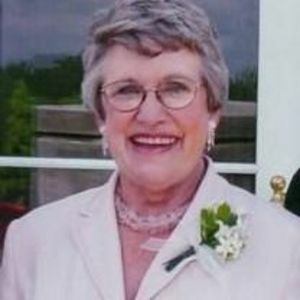 Carol Louise Zimmer Nemitz died October 20, 2017 in Raleigh. She and her twin brother Edward Anton Zimmer were born November 2, 1936 in Pierre, South Dakota to Frederick R. Zimmer and Antoinette Fischer Zimmer. Her parents and her siblings, Edward and Joan Zimmer Frerichs preceded her in death. She attended Duchesne College and Marquette University where she earned a degree in journalism. She worked in the field for several years. She married Russell H. Nemitz in 1960. They have two daughters, Sheila Katherine Nemitz of Raleigh and Julia Nemitz Cogger of Leesburg, VA. Julia and her husband Geoffrey Cogger have two sons, Logan Russell Cogger and Griffin Hayward Cogger. Mass will be held at St. Raphael Catholic Church on October 25, 2017 at 1:00 p.m. with reception to follow in the Lewis room at the church. Interment will be at St. Michael's Cemetery in Hartington, NE, alongside her mother, father, brother and sister.